Hunter is a sweet as they come! He has a wonderful personality who enjoys being groomed, pampered and has a great work ethic. 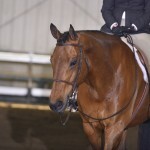 He is also incredibly talented, Hunter is a quiet novice safe gelding with points in Hus, eq, and showmanship. 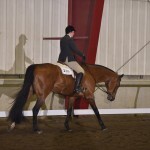 At the last show Hunter attended just a few weeks ago he pointed in green hus and senior hus. This big solid gelding has been started over fences and he is almost ready to show in the hunter hack. No vices or bad habits. 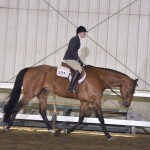 Hunter is just a fun horse to show and will make a great novice safe horse for someone. For more information on Hunter please contact us!